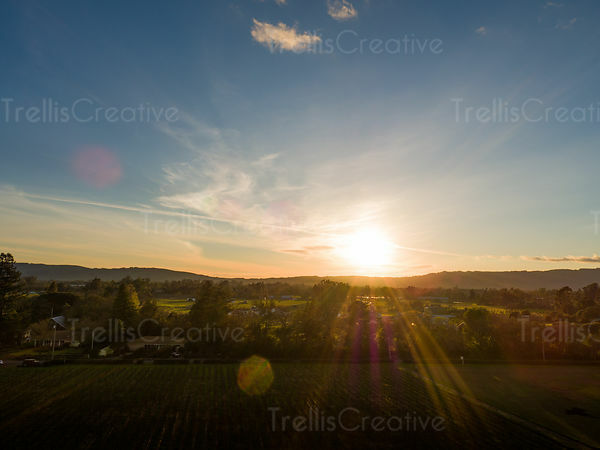 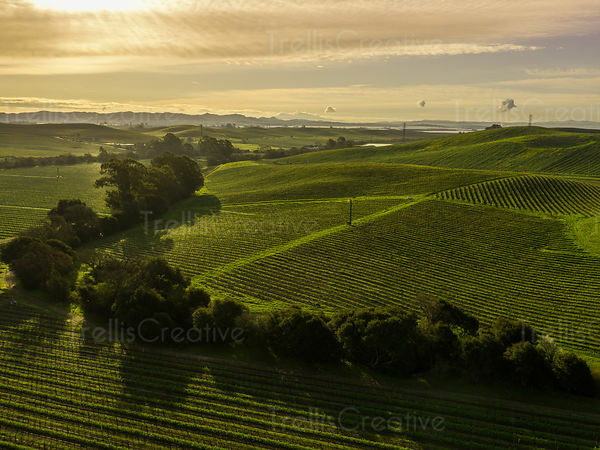 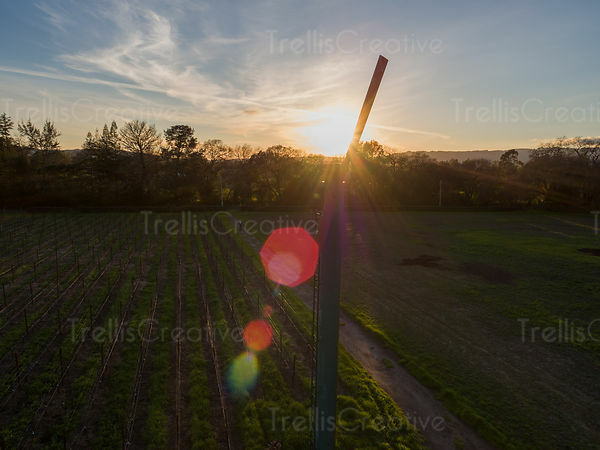 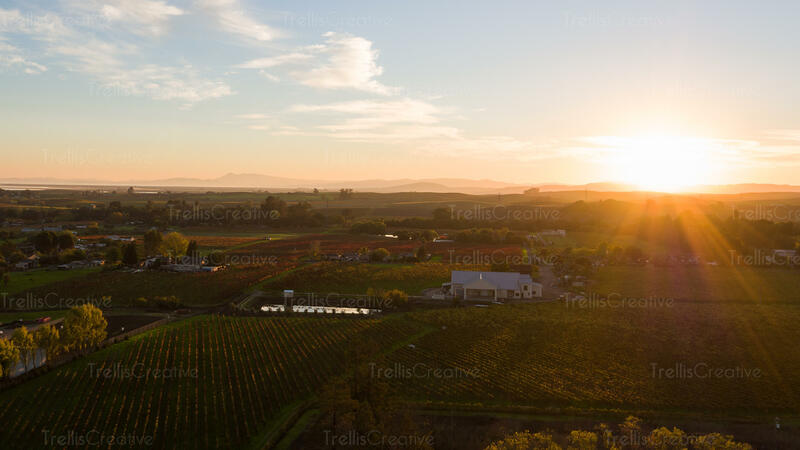 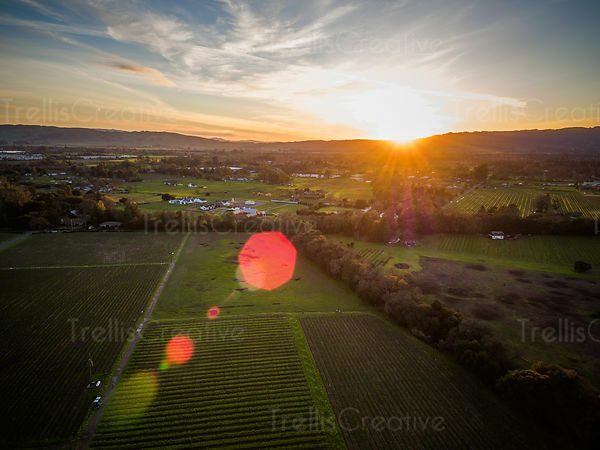 Aerial photography and views from planes, hot air balloons and drone photography. 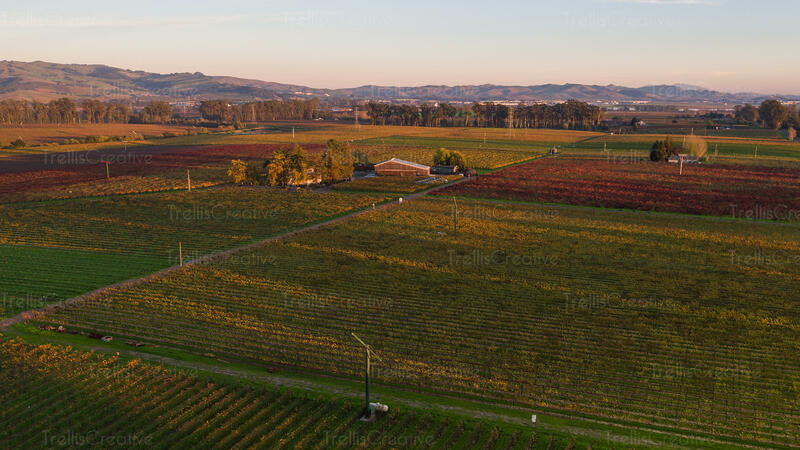 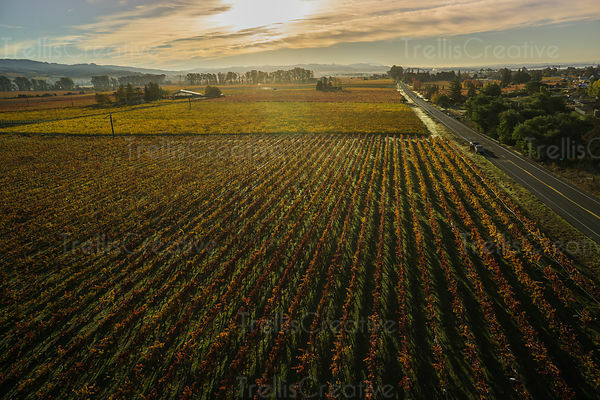 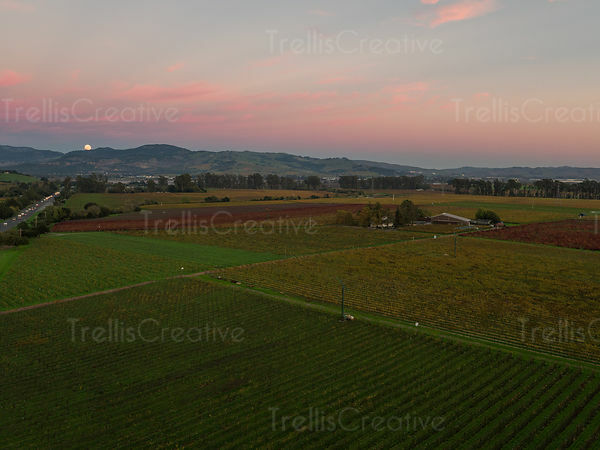 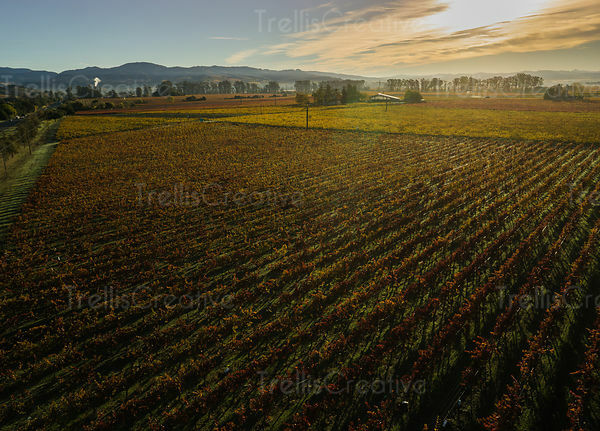 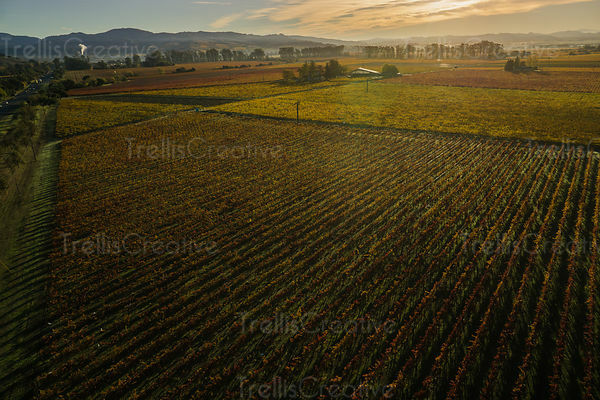 Beauty of the Fall captured over the multicolored hues of leaves changing colors in vineyards, aerial photo. 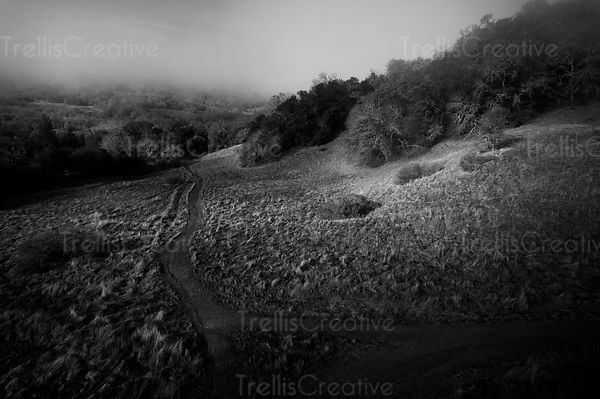 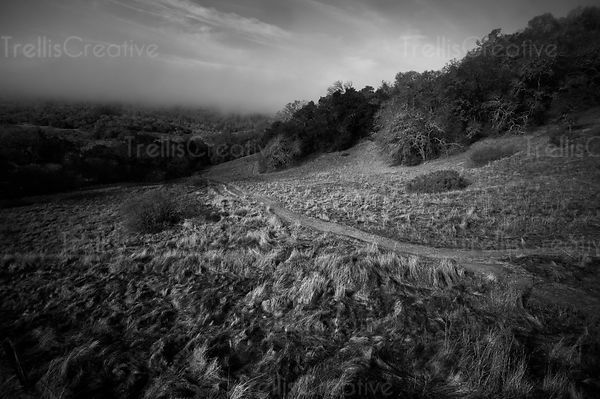 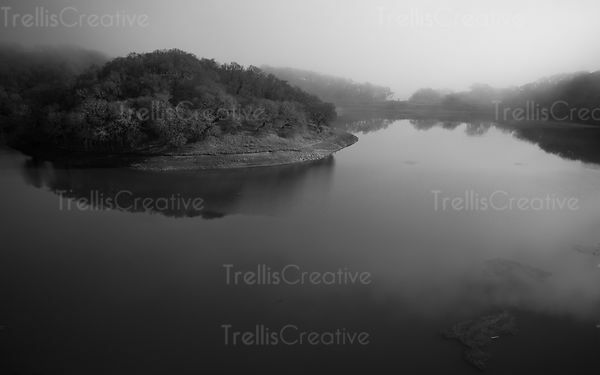 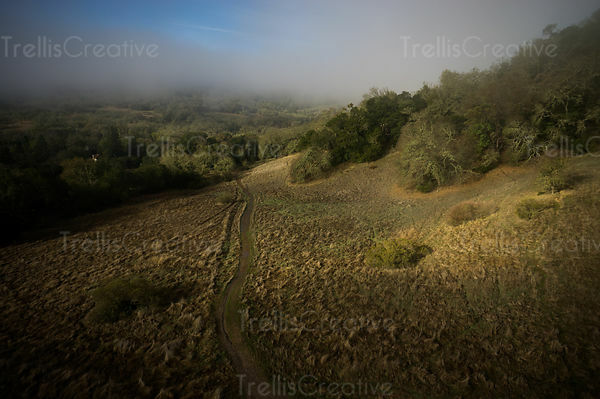 Aerial view of meandering river with the fog lifting around it. 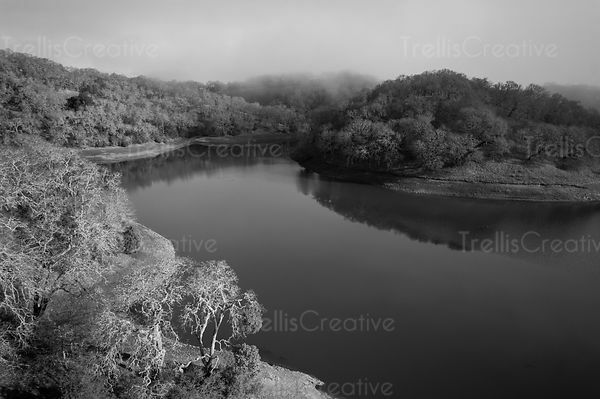 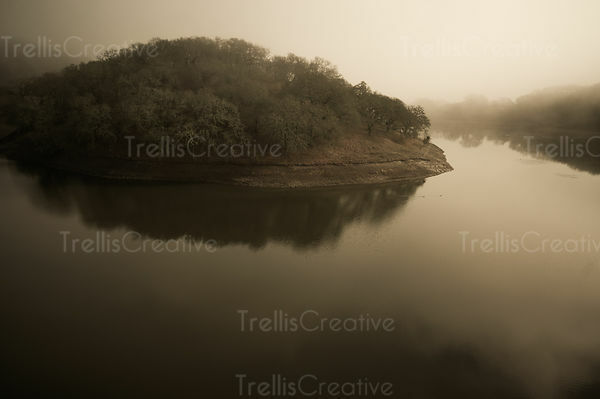 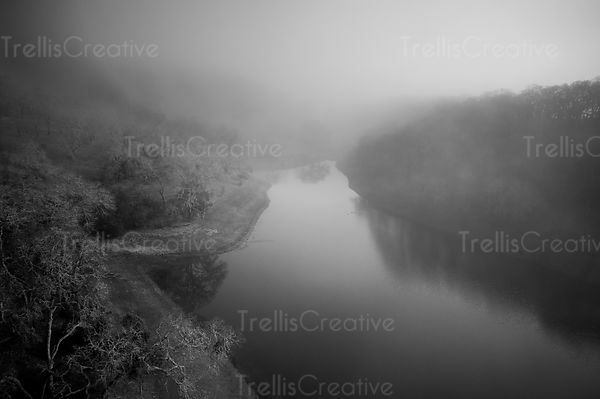 Aerial view of a calm river curving around a mist covered forest. 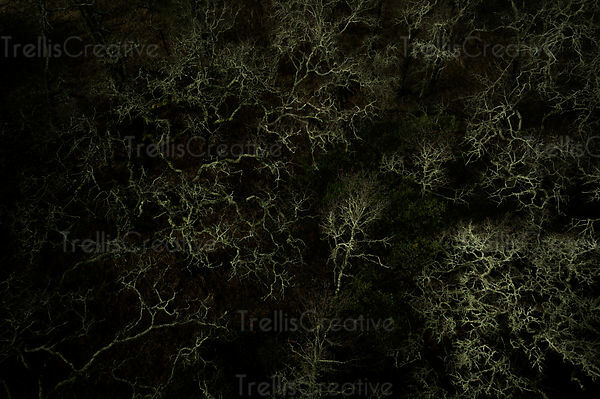 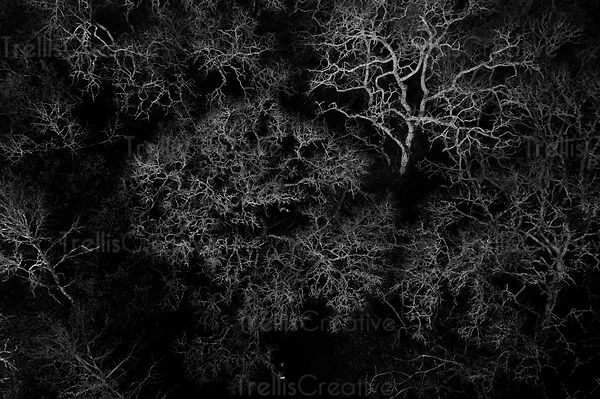 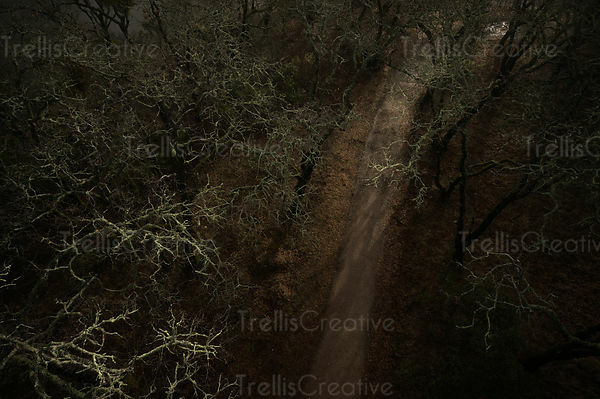 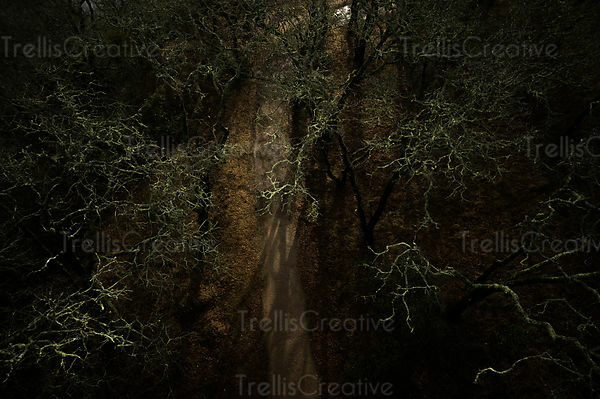 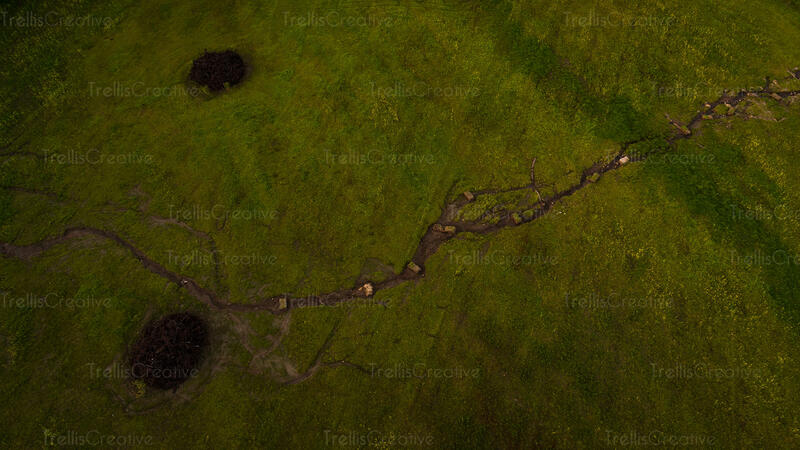 Aerial of bare oak tree canopies in the forest. 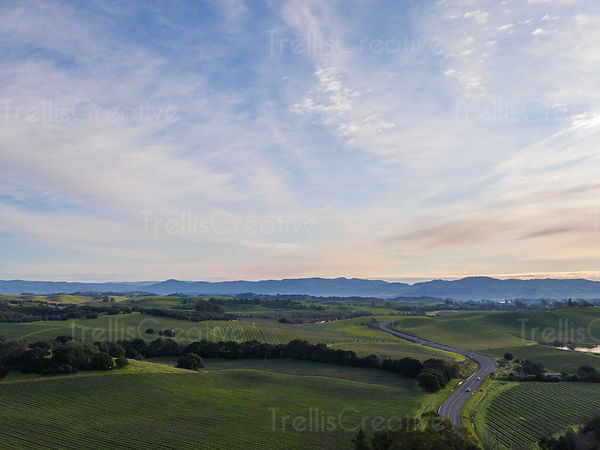 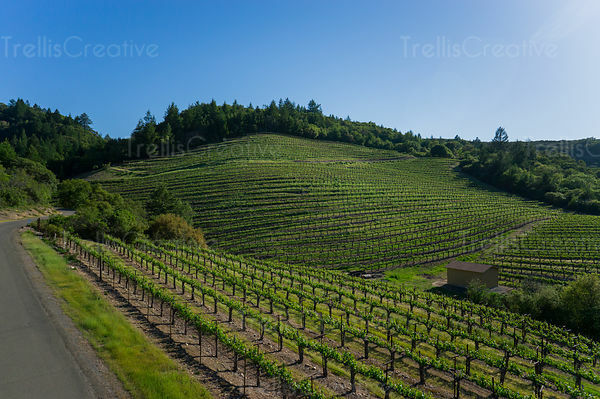 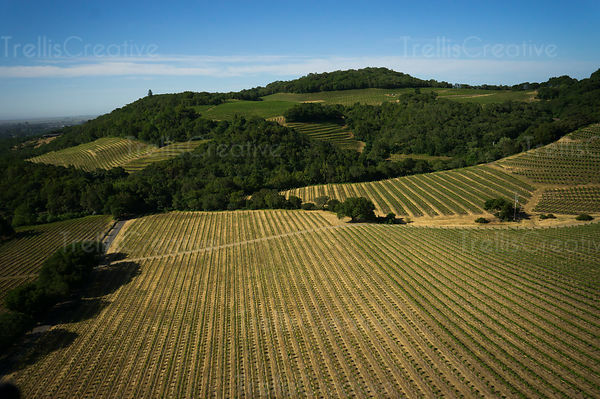 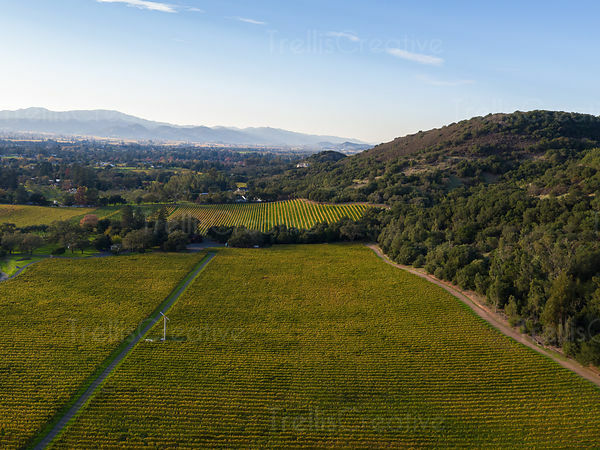 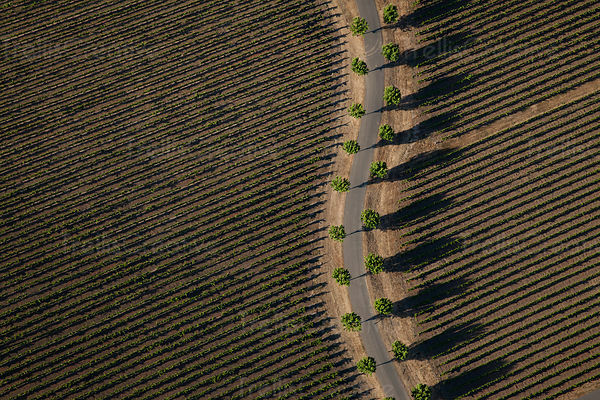 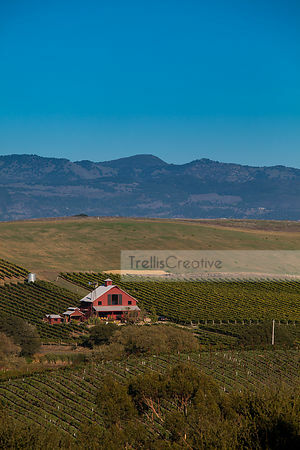 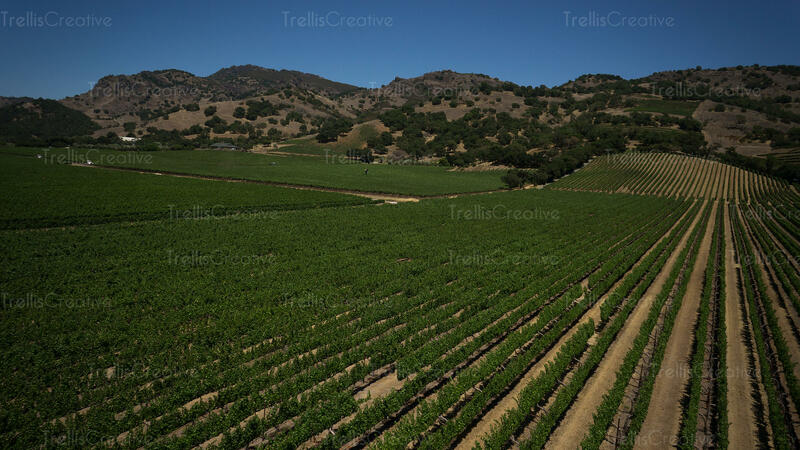 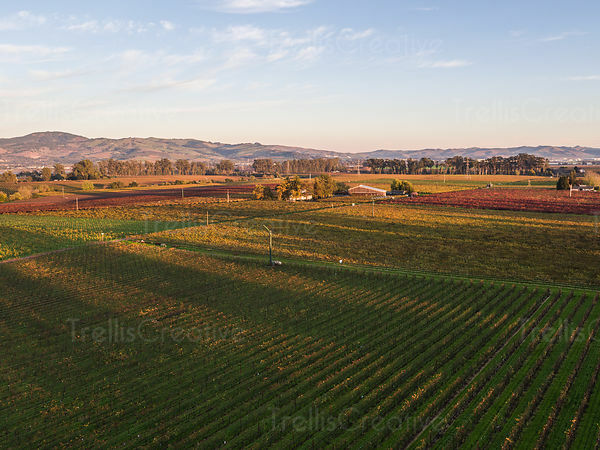 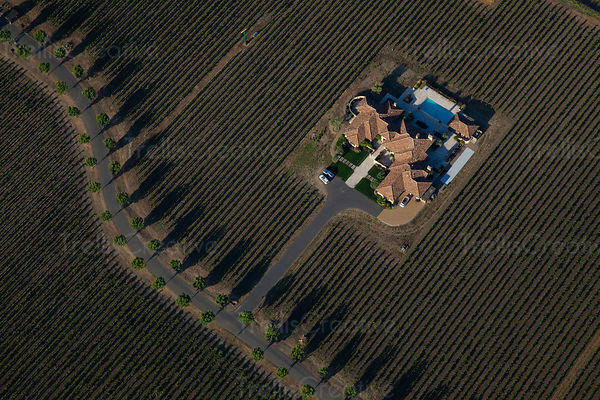 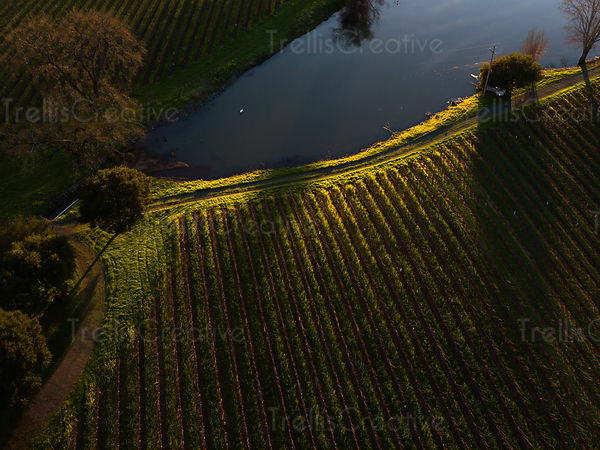 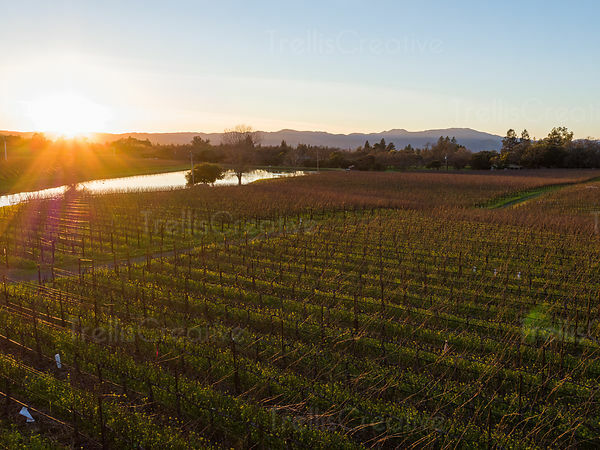 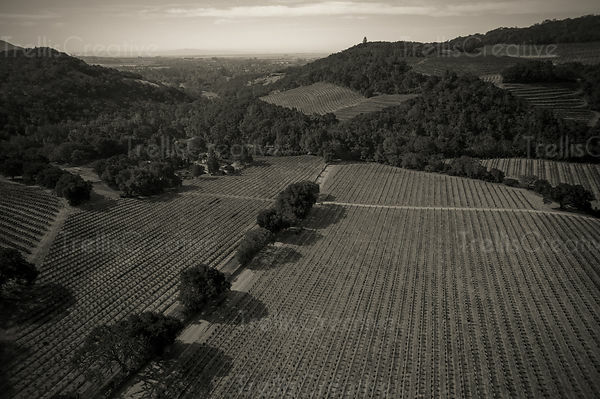 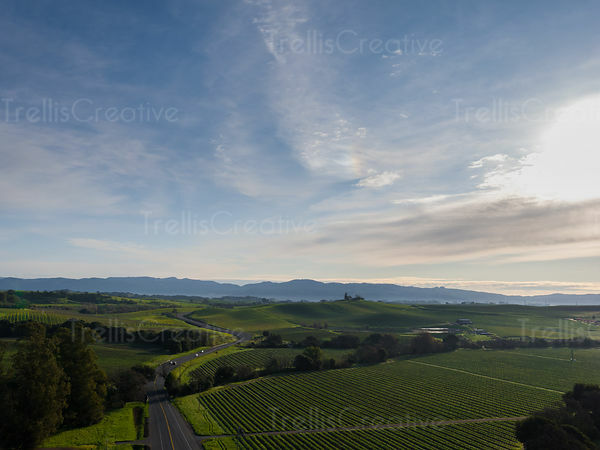 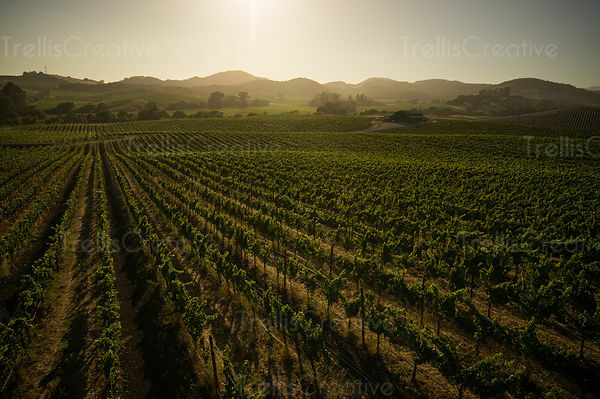 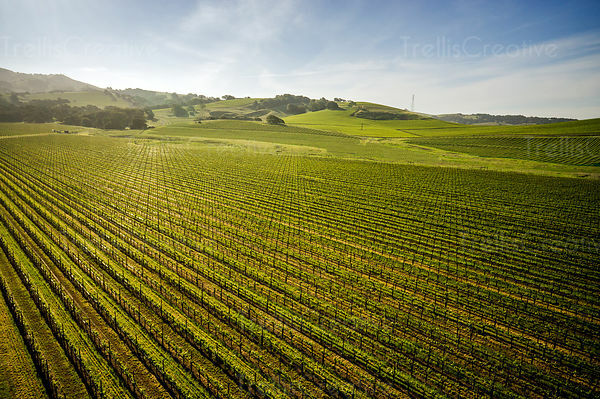 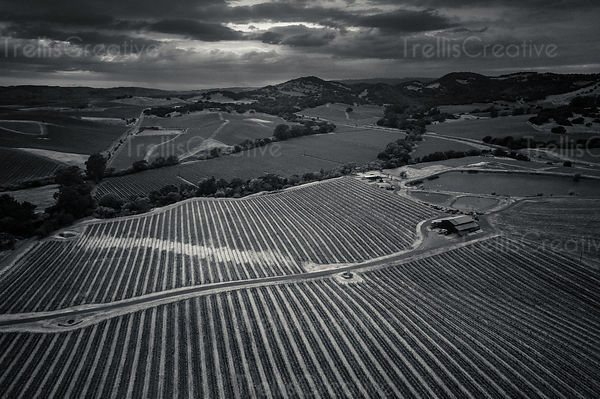 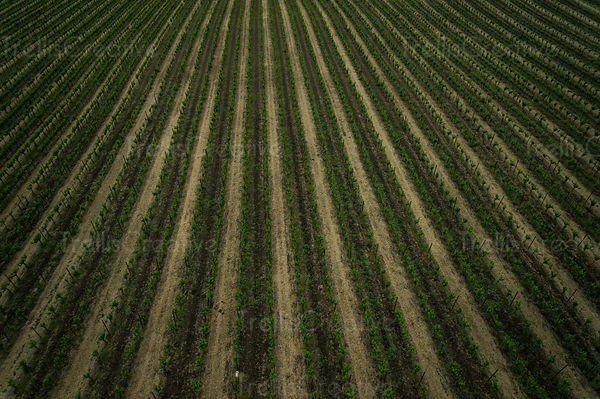 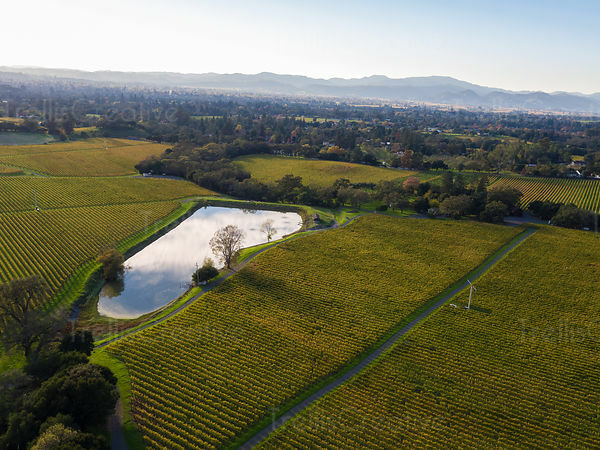 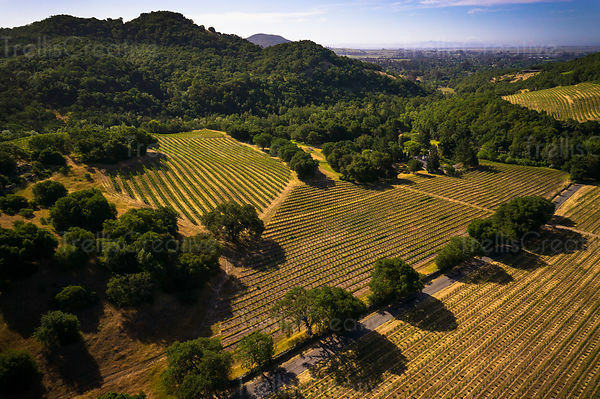 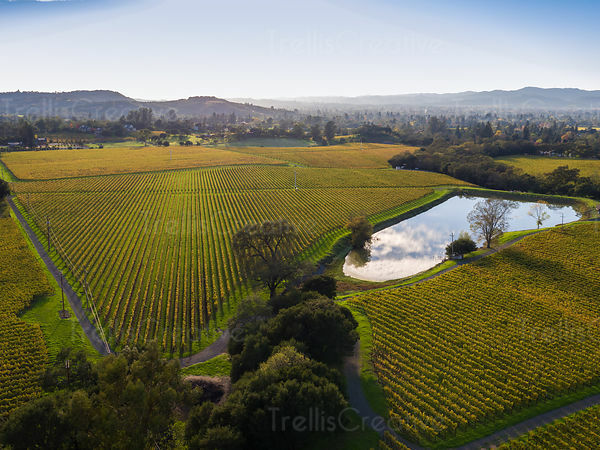 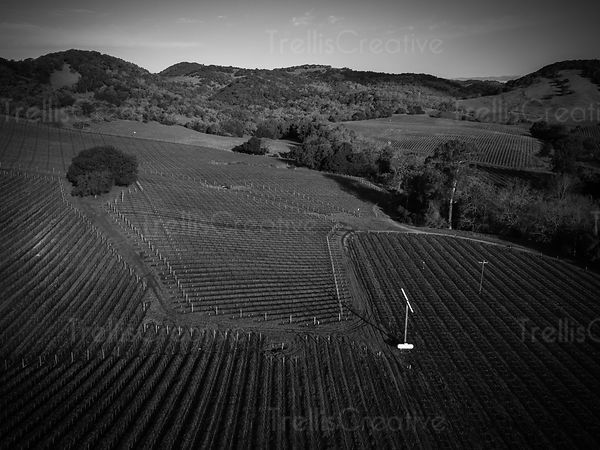 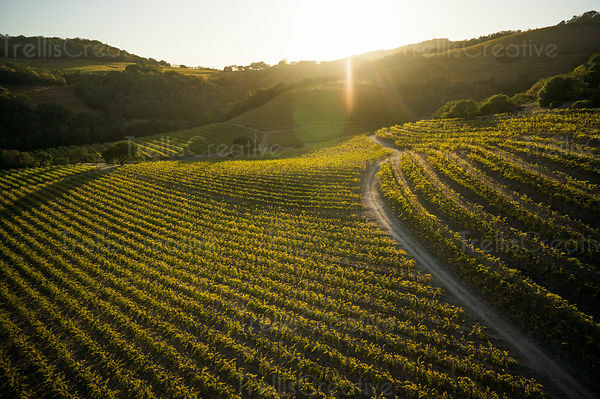 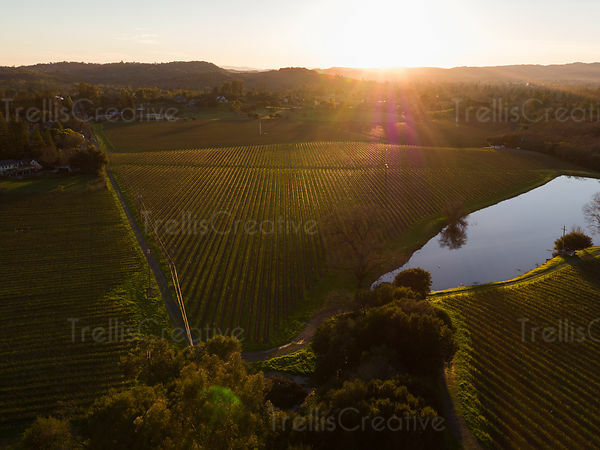 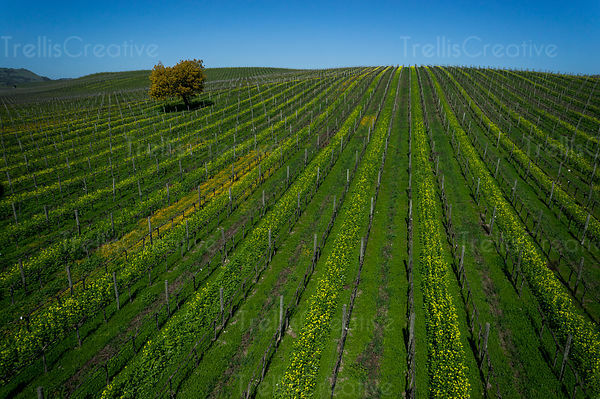 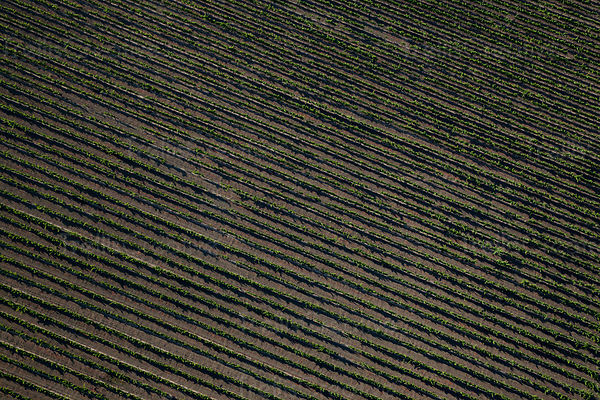 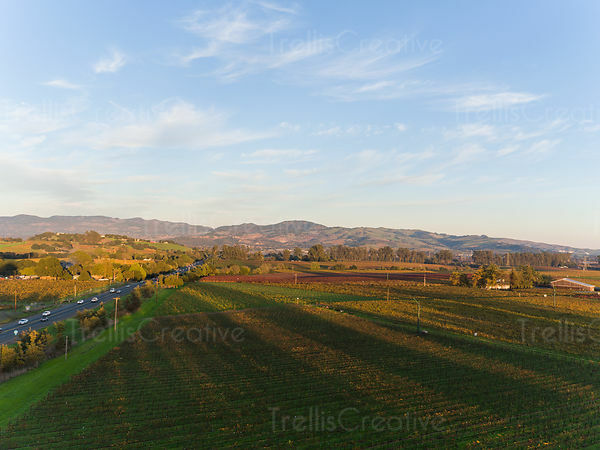 Aerial view of springtime in the napa valley vineyards.